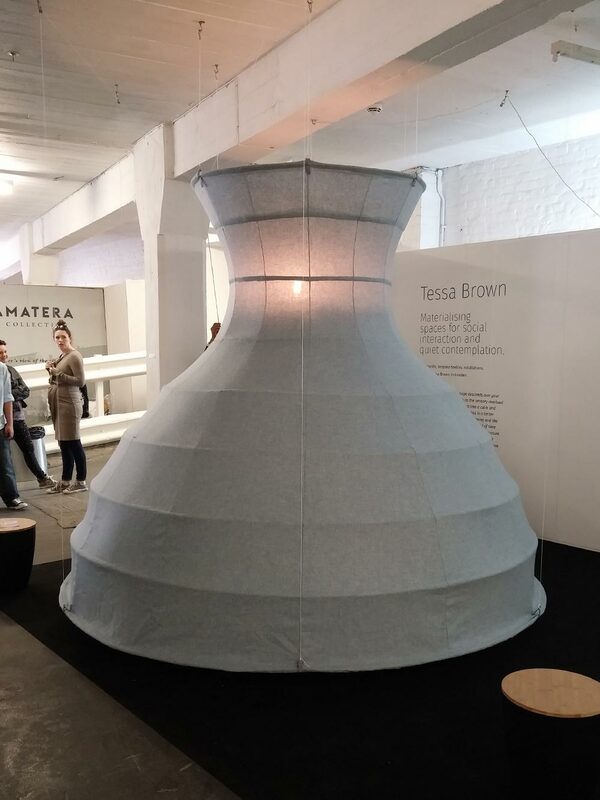 This past week saw thousands of people flood London for the annual Design Festival. We made the trip south to see what our creative capital had to offer. 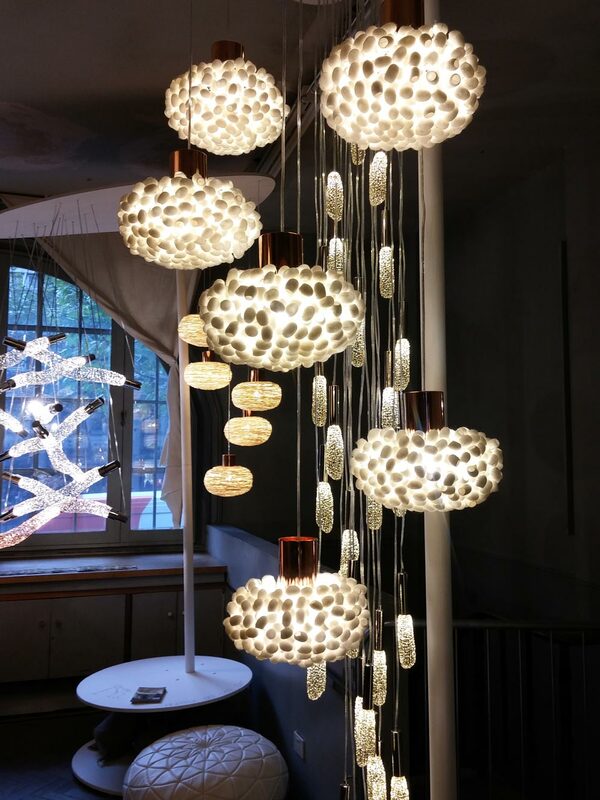 We've put together a snapshot of what we loved at 100% Design, Tent London and Design Junction. James Design stood out for us, overall superb range of contemporary products. We especially liked the back feature on the chairs and stools. 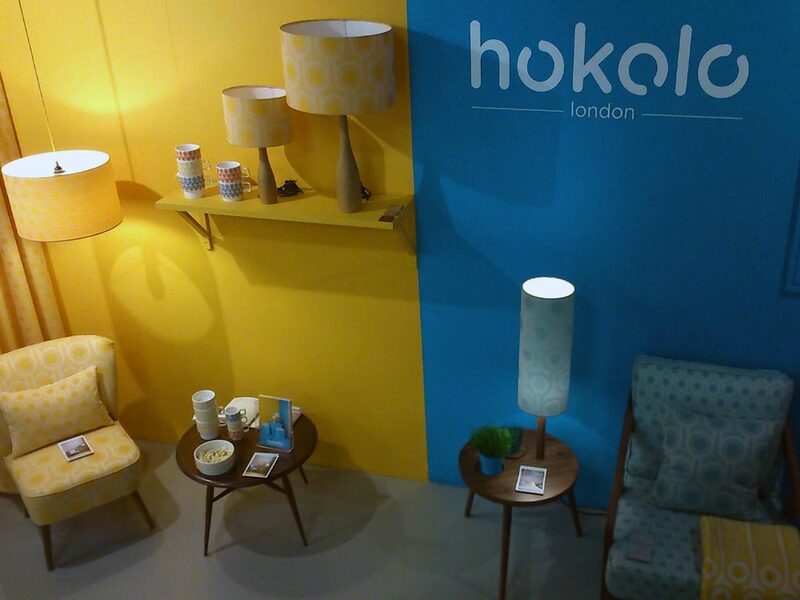 You couldn't walk past Hokolo without noticing their energetic stand and awesome patterned wools. 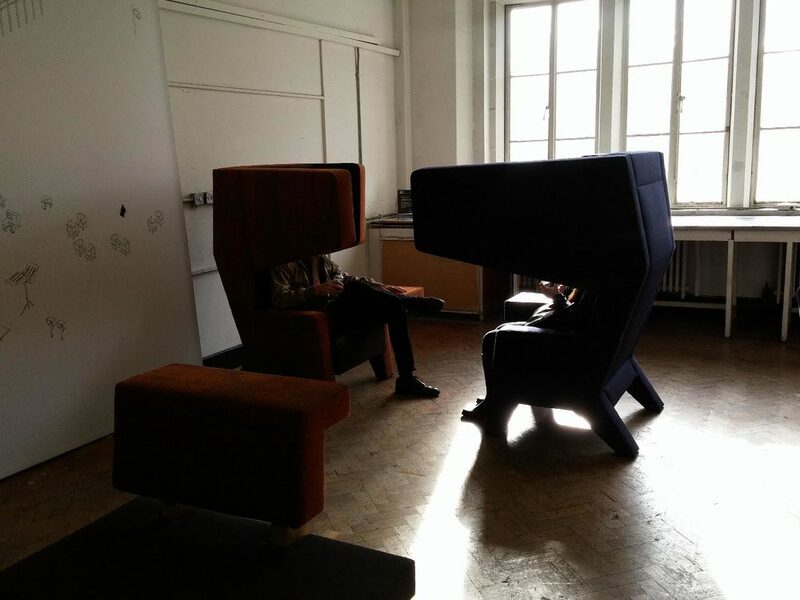 Prooff created a range of funky workspace furniture and personal seating. This modular meeting unit by Nowy Styl Group looked great and worked really well as a private seating booth. This particular chair by The Rag And Bone Man utilised an old VW bonet for the outer shell. Very Cool! Designed By Tessa Brown to create an intimate social space, the cover actually lifts to reveal seating for multiple people. Mineral Pendants by Rothschild & Bickers created beautiful natural patterns through masterful glassblowing. Here's The Otis Lamp by Nocturne who produced some fantastic vintage style products. 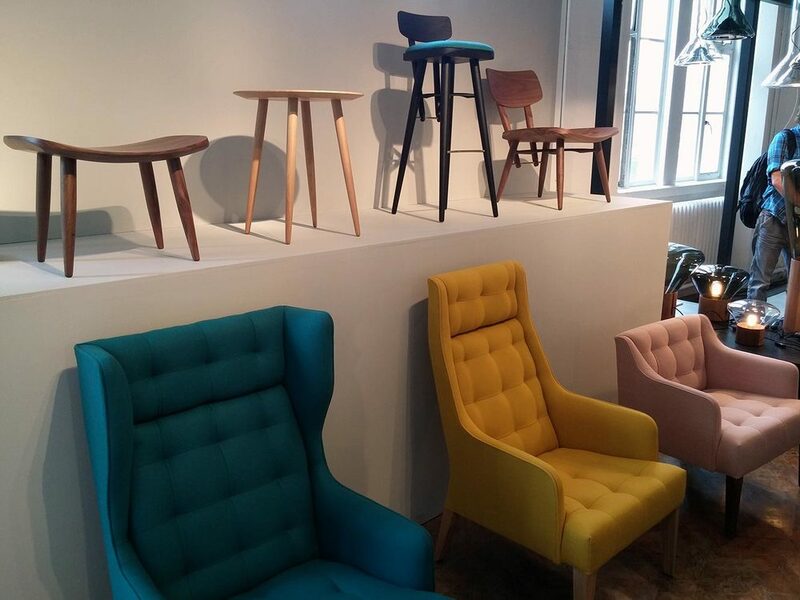 We loved this contemporary set of furniture by James Burleigh. Really breaks the boundaries between formal and informal furniture. The Edit Series by Dome Studio provided a great way to spruce up an interior wall. We were also challenged to find the secret compartment which was a nice touch. There was a huge amount of lighting across the festival. Some of the designs by Ango really stood out. 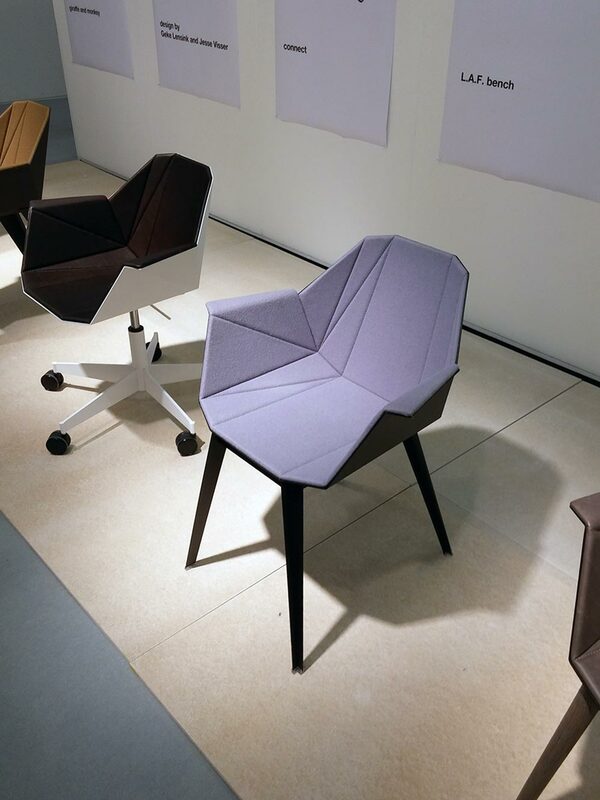 The Alumni Collection by eQ+ utilised geometric / origami like structures to great effect.